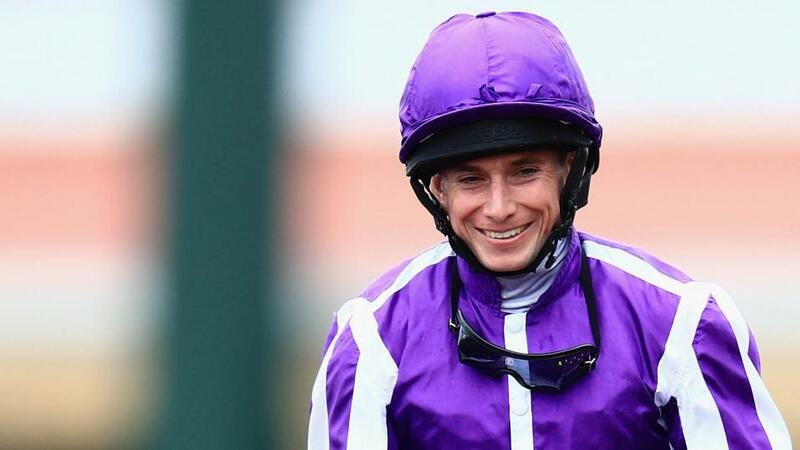 "But he has had a good break since the July Cup, and everyone seems happy with him, and he caught fire, form-wise, at this time last year, too." Everyone knows how good a juvenile US Navy Flag was, with a brace of Group 1 wins in the Middle Park and Dewhurst underlining that class before it was a run too far on dirt at the Breeders' Cup. His one great asset is his speed, allied to his attitude, but we tried to stretch him out to a mile earlier in the season, and he certainly showed he stayed when second in the Irish 2,000 Guineas. But it was the return to 6f and forcing tactics that saw him recapture his juvenile excellence in the July Cup last time, and the Everest has been the plan ever since. We have got pretty lucky with a draw in three, and I certainly think he has the class to make his presence felt here. The obvious issue is the ground, as his best efforts have come on a sound surface, and it will be soft here. And, sitting here watching the news at 6am on Friday morning, it isn't drying out! That said, it was officially on the easy side when he won the Middle Park and when winning his Group 3 at the Curragh by 6 lengths. Coming halfway across the world always brings challenges - whatever way you are travelling - and he made his reappearance in April, so he has been on the go for a long time. But he has had a good break since the July Cup, and everyone seems happy with him, and he caught fire, form-wise, at this time last year, too. There doesn't look to be a stand-out among the opposition but, as you would expect given the prize, there is a lot of depth to the race. You can make a case for them all. Last year's winner Redzel clearly has to be respected and is probably the best starting point when looking at the race, and he is another potential pace angle, but a look at the betting tells you everything you need to know; there is no shortage of possible winners in here. The Freedman pair Santa Ana Lane and Shoals were only separated by a head in their prep race here last time, and both will be suited by the conditions. That could obviously be a key trial, as In Her Time, Trapeze Artist and Redzel filled the next three places there. I thought Shoals was a bit unlucky there, and she could be the one to take out of that race. Vega Magic was second in this last year and ran well in his prep over 7f, and the return to 6f with blinkers on will suit him. Brave Smash goes the other way, up in distance, after a second to Viddora over 5f last time. The extra furlong should be a positive for last year's third. The one that I think could possibly be the one to beat is Graff, who is one of the outsiders, I believe. He is a lightly-raced colt with improvement in him. He is getting a lot of weight as a 3yo, and I think there have been excuses for him on his last two starts. I wouldn't have him as a 16/1 chance at all. But, look, whatever way you look at this race, it is very hard to try to find the winner, and obviously everyone will have been peaking their horses for this day, and this pot, so we will see horses improving markedly on their recent outings. I think my colt has as good a chance as any of these from a form perspective but, as I said, ideally he would clearly want it a lot quicker - it's a shame we have come here and got testing ground, as not long ago there was a drought - and beating Australian sprinters in their own back yard is no easy task whatsoever. We are here to give it our best shot, anyway.